Hello and thanks for stopping by. 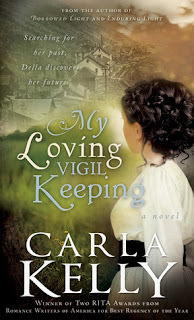 We are today's stop on My Loving Vigil Keeping blog tour presented by Cedar Fort Books. 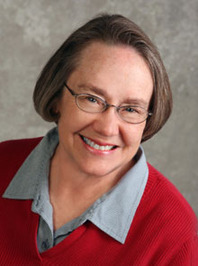 Author Carla Kelly has written a wonderful guest post on how her historical romance came about. Published August 14th 2012 by Cedar Fort, Inc.
Della’s giving up all the comforts of bustling Salt Lake City to teach school in a rural coal mining camp. Little does she know, she may soon be giving up her heart as well. But when tragedy strikes in the Scofield Mine, Della’s life will be changed forever. Based on true events, this thrilling new romance from award-winning and bestselling author Carla Kelly is a must-read! I’m a military historian. Like historians everywhere, I am interested in all history. When we decided to retire in Carbon County, Utah, I knew I’d make a trip to Scofield, about 30 minutes from our home. I had read about the Scofield Mine Disaster, and wanted to see the area. I wasn’t prepared for the visceral pain that came from looking at rows and rows of tombstones with the same death date – May 1, 1900. Two hundred men and boys. I started reading about the disaster, more properly called the Winter Quarters Mine Disaster, because it happened in Winter Quarters Canyon. Except for one written immediately after the disaster, there are no books dedicated to that event, although it is included in many books. I started volunteering at the Western Mining and Railroad Museum in nearby Helper, Utah, which gave me access to photos and mine history. We also happen to go to church with a bunch of miners, some of whom have Welsh backgrounds. It didn’t take long before a novel started in my mind. Writing a book involving a catastrophic event has its own challenges. To be successful, I was the only person who could know what was going to happen at 10:28 a.m. on May 1, 1900, in Winter Quarters Canyon. The result is a story about people living their quiet, hardworking lives in a coal mining camp. There must be a compelling story line outside of the disaster, itself, because no one knows that’s going to happen. When it happens, readers need to be deeply invested in those lives, or the book will fail. I wanted the story told from the point of view of a schoolteacher. She’s an outsider, with her own ties to mining, because her father was a Colorado miner. The reader sees the miners and families from her POV. It’s a sympathetic one, because she knows how hard the life is. Since I had been researching the turn of the century for two earlier books, I took an interest in Auerbach’s Department Store, which meant delightful research on Samuel Auerbach. And there were Jesse and Amanda Knight in Provo, politely wanting to get in on the adventure, too. I knew Israel Bowman from that first history about the mine disaster, written by J.W. Dilley. Israel was the teacher I needed, to be Della’s friend. Dr. Emil Isgreen was the physician at the mining camp. I actually found a photograph of him, and learned a little about him. There were all those lovely Finns. I know some lovely Finns, too, so that became a treat. Richard T. Evans really was the choir master; Andrew Hood was the Sunday School Superintendent; Thomas Parmley was the superintendent and bishop; Annie and Levi Jones and on and on. They were real. The trick to succeeding with historical fiction is to know a huge amount about the times, and inject it carefully, avoiding the dread “info dump” that can kill a novel quicker than anything I know. I call it “writing with authority,” for want of a better term. It comes from years and years of research and sure footing in a bygone era. That’s where my historian’s background pays off. I research about the period, and I also research in the period. I read newspapers, censuses, period novels, period histories. That’s how a writer of historical fiction does her homework. The trick is transporting the reader to an earlier time, and still making it have context and relevance to our times. It’s not easy, but the rewards are enormous. Find the complete tour listing here.